Despite the intense media scrutiny of Jared Kushner, the White House Senior Advisor rarely speaks to the press. 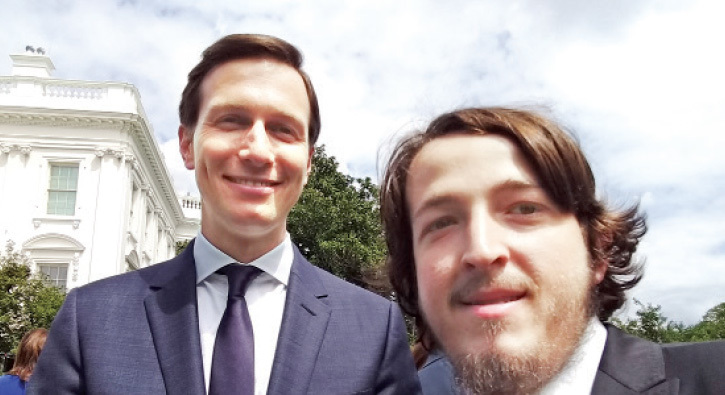 That didn’t stop Turkish newspaper Aksam from running a completely fabricated interview between its White House Correspondent Yavuz Atalay and Kushner. Mike Warren of Weekly Standard tweeted, ‘a White House official tells me this is a fake interview that never happened’. In the fake interview, Aksam claims Kushner praised Turkey’s Erdogan, saying just like President Trump, he is working to make his country “great again.” Yavuz Atalay then writes Ivanka Trump joined in on the interview, professing her admiration for Turkey. Again, this entire interview is fake, written by Aksam’s White House Correspondent Yavuz Atala. **Update** The Turkish reporter admitted he fabricated the Kushner quote praising Erdogan and Turkey. Jared Kushner, who answered Atalay’s question, “What are your views about Turkey and the Turkish government personally?” Trump’s “Make Great America Again”, saying, “Let’s make America big again”, Erdogan is working to make his country big again like Trump. We appreciate these efforts, “he said. Kushner responded to the question of terrorism as follows: The joint efforts of America, Turkey and other countries will end terrorism. We are taking sincere steps in this regard and trusting the sincerity of Turkey. Jared Kushner has a short conversation with EVENING Washington correspondent Yavuz Atalay, US President Trump’s daughter Ivanka Trump also chatted. Ivanka conveyed her love message to Turkey through her correspondent. Kushner, who showed a positive attitude towards the United States and Turkey, said, “Countries like Turkey, countries that have the potential to develop and support development. Turkey is using this potential and creating a strong economy for itself. When we look at Turkey, in recent years, it has a trustworthy economy and develops it. ” As will be recalled, the IMF announced Turkey’s growth expectation at 2.5 percent, but in the first quarter of 2017 Turkey had grown by 5 percent. When asked over Twitter direct message about the White House pushback, Atalay initially refused to address the claim that he made up a quote. “That was not an interview. I didn’t get any permit from Kushner’s office or Ivanka’s office or White House. As I mentioned in the report it was a very quick conversation with him (1-2 min. ),” Atalay said. A native Turkish speaker who reviewed Atalay’s article said that the reporter has a history of making bombastic claims about the Trump administration’s view of Erdogan and the Turkish government.